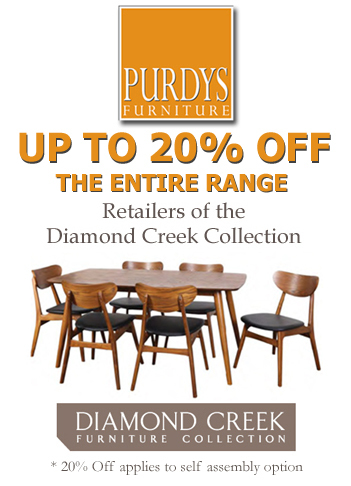 Purdys Furniture are a proud suppliers of the Diamond Creek Furniture Collection. Made from Solid Hardwood, the Diamond Creek collection comprises of a great range of Lounge, Bedroom & Occasional furniture. Available in a great range of sizes & colours, the Diamond Creek Collection is excellent value for money. 25-31 Sherbourne Rd, Briar Hill, 3088, Victoria.